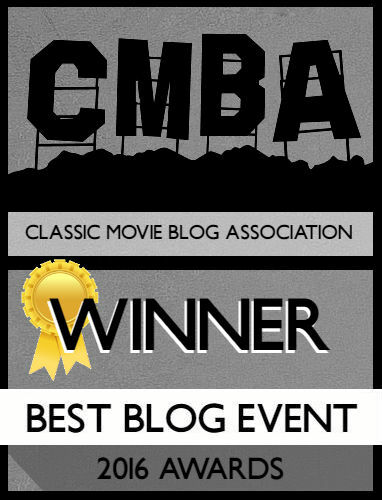 **This post is written in participation with the Build-Your-Own Blogathon over at Classic Film and TV Cafe. 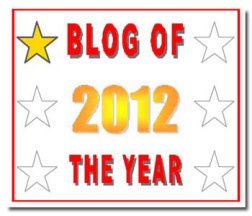 Visit the site to read the other amazing participants’ entries. We diverge from Summer Under the Stars for a day to look a radio play turned film starring the double whammy of Barbara Stanwyck and Burt Lancaster. My mother’s listened to Agnes Moorehead’s original radio production – a role she tackled till the 1960s – and I’m interested in comparing these two. As its own film, Sorry, Wrong Number is a tidy noir with a few too many complications sustaining the runtime. Leona Stevenson (Stanwyck) is an invalid left home alone one night when her husband, Henry (Lancaster) disappears. Trying to track him down, Leona accidentally hears the details of a murder plot happening at 11:15pm. As Leona tries to track down her husband and find out more about the call she heard, she starts wondering if the soon-to-be victim might be her! The opening crawl indicates the telephone as a portal of communication, or DOOM (yes, in all caps) if you’re not careful. With the rise of telephone communications, specifically in the post-war era, it became a little too easy to reach out and touch someone, so to speak, leading to many films, television shows, and radio programs discussing the horrors of the telephone. The obvious phone-related film, that I’m sure was inspired by this, was Carol Kane in When a Stranger Calls. The Twilight Zone turned the phone into a communication device from beyond the grave in two episodes, while the 1990s saw kids warned about the phone in an Are You Afraid of the Dark episode called “The Phone Police.” Maybe it’s these small-screen cautionary tales that always made me fear the idea of someone being able to call me incessantly. Of course, the rise of caller idea, and later on cellular phones, have dampened these fears over the years. It’s easy to see why Sorry, Wrong Number worked best as a radio production. With a few voices on the phone, filtered to the audiences via radio, there’s a personal connection between the audience and Leona Stevenson. There’s also very little time for filler because the only point-of-connection we have is to the leading lady. This is an understandable inconvenience for a film, and naturally Litvak must create ways of pushing this to feature-length with extensive flashbacks involving Henry Stevenson, his ensuing relationship and marriage to Leona, and the subsequent path that’s led to the “wrong number” of the title. You don’t need much gilding when you have Stanwyck, but the overabundance of plot does more harm than good in this instance. Leona is inundated with a flurry of calls, both making and receiving, giving the movie a breathless, breakneck, pace which slams to a stop when the flashbacks arrive. The idyllic relationship of Leona and Henry never gels with the murder plot, although Lucille Fletcher – who penned the original radio drama – keeps the characters’ unwavering personalities. Barbara Stanwyck plays the strong-willed woman we know and love. A girl who refuses to wait around for Henry to “pick” her to dance, but instead walks up to him and demands it. Fletcher’s script, possibly to appease the Production Code, tries to turn Leona into a villain, stealing Henry away from nice girl, Sally Hunt (Ann Richards) who Leona doesn’t care that she’s hurt. Leona is also the succubus who, through her almost incestuous relationship with her father, turns Henry from a content man into a frantic addict for money and prestige. Ironically, it is this hunger for wealth that puts Henry on the path towards Leona’s demise. This is the first time I’ve watched Burt Lancaster as a somewhat romantic lead and he’s good. It’s hard to stand up as a worthy man against Stanwyck, but their introduction puts them on even footing. Once Stanwyck gets her man, though, Lancaster’s Henry is putty in her hands. There’s a frank sexual tension to Stanwyck’s performance opposite Lancaster. In their flashbacks, she practically salivates for him, coquettishly leaning on him before they fall into a kiss. The noir plot involves Henry scheming for more money and an insurance policy on his wife, elements Double Indemnity and The Postman Always Rings Twice did better. The twist, à la Suspicion if a murder actually concluded the film, keeps things lively and unpredictable, but it stretches the enjoyment of an already brief film. I’m unsure how much backstory is included in the original radio broadcast, but I’d have preferred no motive, maybe just Stanwyck continuing to overheard this conversation and plans as the time inches closer. The fact Leona is an invalid would have been great, increasing her helpless state. As a disabled person myself, it’s always frightening to fear you’ll be unable to escape a dangerous situation. However, the film undermines all that tension by revealing Leona’s disability is psychosomatic, turning the climax into a battle of wills over whether Leona is able to overcome her fears to save her own life. The actual telephone plot is where Sorry, Wrong Number is a taut, frightening thriller despite the silly phone close-ups Litvak employs. Much of this “horror” is lost on modern audiences today – again, caller ID in the 1990s would have sunk the ship – but Stanwyck sells you on the building progression of fear. Leona falls into the “Murder Victim 101” trap a time or two, drawing attention to herself by speaking in the midst of their conversation and refusing to call the police. For the most part, the film plays the events with a building cloud of fear and tension. Every ring of the phone sends shivers, and becomes a harbinger of doom like the beginning text warns. 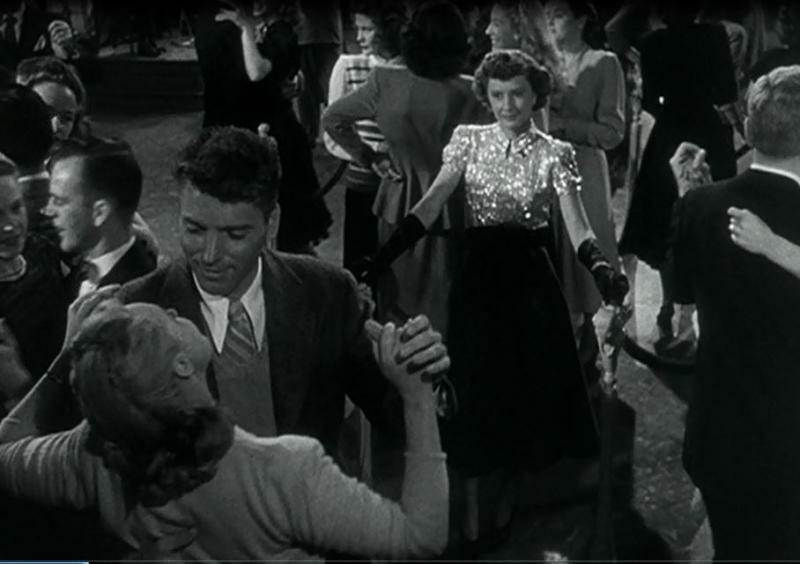 Litvak also employs film noir tropes like real-time setting and the clock, inching closer and closer to 11:15 prepares the audience for Leona’s date with….something. Stanwyck blamed her fear in this film for giving her premature gray hair, but she’s integral towards the premise being as memorable as it is. Her final moments, filled with screams and cries for help – which probably sound doubly intense on the radio, the audience’s mind filling in the images of murder – are indelible and leave the film on a bummer note. Stanwyck was nominated for an Oscar for her role in this (genre pictures aren’t as awards friendly now as they were then). 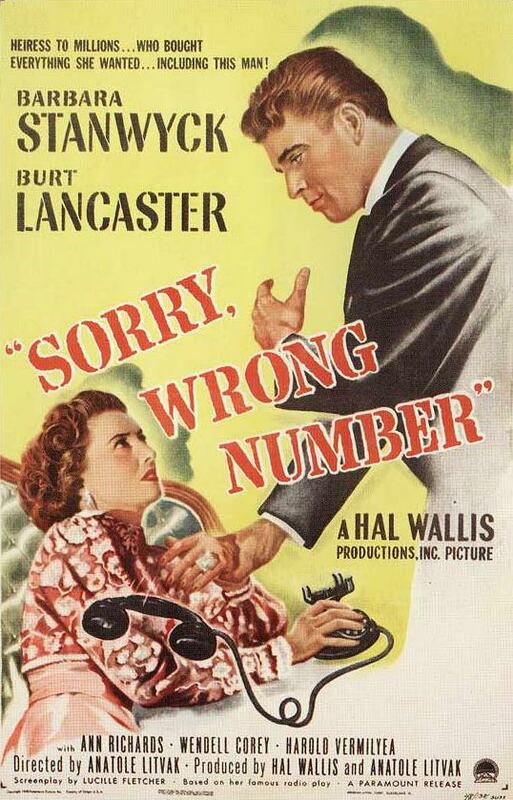 Sorry, Wrong Number admirably builds tension, helped by a grand performance from Barbara Stanwyck. Had the plot conventions not inflated and dampened the tension, it could have been perfect. The Agnes Morehead version is simply thrilling – kept me awake for nights afterwards! I need to sit down and listen to it! Kristen, I remember reading the radio play in school before seeing the movie. My favorite aspect is the fact that it takes place in real time. That creates an additional layer of suspense. And, course, Barbara and Burt are wonderful! Every time I hear William Conrad’s voice, I’m, reminded of his narration on THE FUGITIVE TV series. I’m glad I was finally able to watch this so thanks for giving me a forum for it, Rick! Barbara Stanwyck is certainly a worthy successor to Agnes Moorehead, but once you’ve heard the original it will be a toss up as to whether you will enjoy the film less or cut it some slack for the greatness it followed. That’s what my mom said so I’m definitely eager to compare. I agree. The movie is pretty good, but nothing like the Agnes Moorhead radio play. Our ninth-grade English teacher played that recording for us and we – all of us products of a television age – were completely mesmerized. Not that it matters, but I hate Barbara Stanwyck’s hair in this film. Her performance, however, is fantastic. Haha, I hated to write something so shallow, but I wanted to give the film demerits for making Stanwyck look so damn unattractive with that hair. Another role undone by poor hair choice. I know what you mean. Don’t get me started on poor hair choices! I remember this was the first Barbara Stanwyck film I ever saw. It was very strange to meet her for the first time as this lacquered, grasping victim and then to go back through the rest of her filmography and find out what a departure the role is for her. Stanwyck characters usually don’t suffer from a lack of will. I also remember thinking that Burt Lancaster’s character never quite comes together. Not his fault, it’s just that the script doesn’t give him much help. Your review made me think I really need to see this one again and find out what I think of it now. Nice job! Thanks, Aubyn. If you give it a second chance let me know what you think. Great review! I love the incredibly elaborate negligee that Stanwyck wears for most of the film, complete with matching hanky and an absurd amount of jewelry! Not typical pajamas, that’s for sure! But it works great since she is in bed for most of the movie. I’m always surprised at how scary and disturbing this movie is–would love to hear the radio play! Thanks again for a great read! Thanks for stopping by to read it!